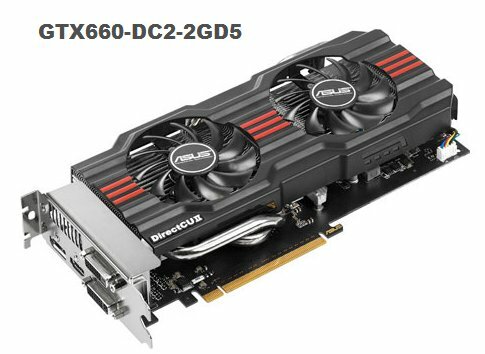 ASUS introduces three DirectCU II branded GeForce GTX 660 graphics cards. It includes the GTX660-DC2-2GD5 with reference clockspeeds (980MHz base, 1033MHz boost, 2GB GDDR5 at 6008MHz MHz), the GTX660-DC2O-2GD5 with 1020MHz core, 1085MHz boost and 6008MHz memory, and the GTX660-DC2T-2GD5 with 1072MHz base, 1137MHz boost and 6108MHz memory. 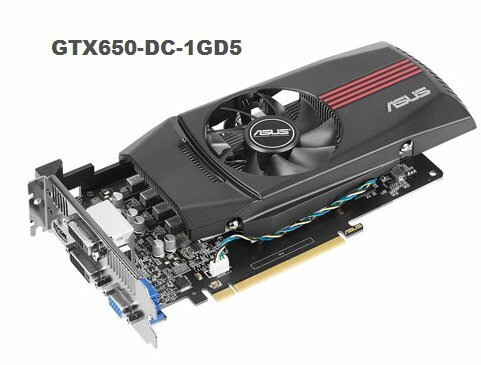 The GTX 650 is available in two versions; the GTX650-DC-1GD5 with reference clockspeeds (1058MHz core and 5000MHz 1GB GDDR5 memory) and the GTX650-DCT-1GD5 with 1215MHz core and 5100MHz memory.